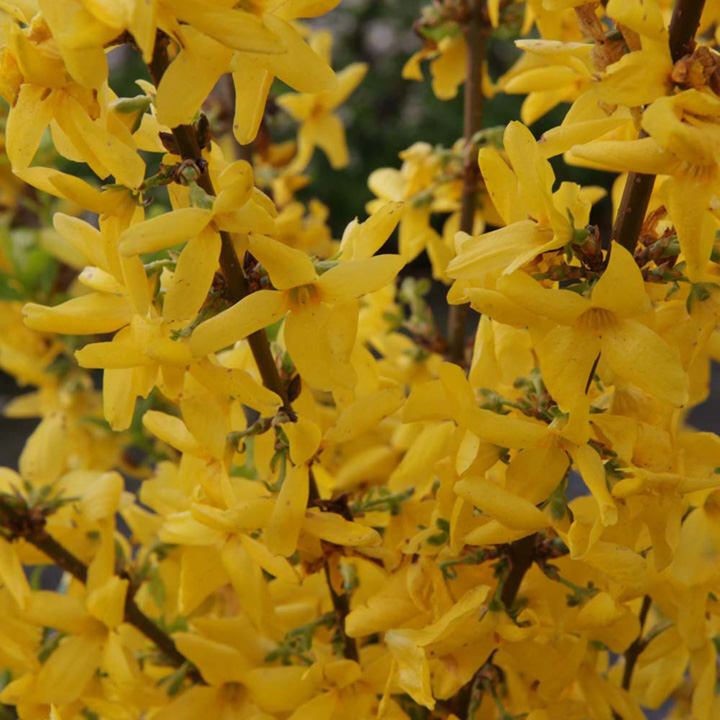 ith a fantastic display of bright yellow flowers in spring on bare woody branches, Forsythia x intermedia Weekend 'Courtalyn' is a hedging must have. 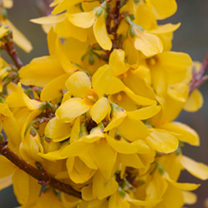 It has an upright, bushy habit, with a multitude of stems and foliage that is a wonderful bright green, opening as the flowers begin to fall. Use in mass plantings for stunning effect, or as border edging. Height 200-250cm. Supplied in a 3 litre pot. 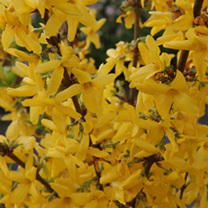 Ideal for beds and borders, hedging.